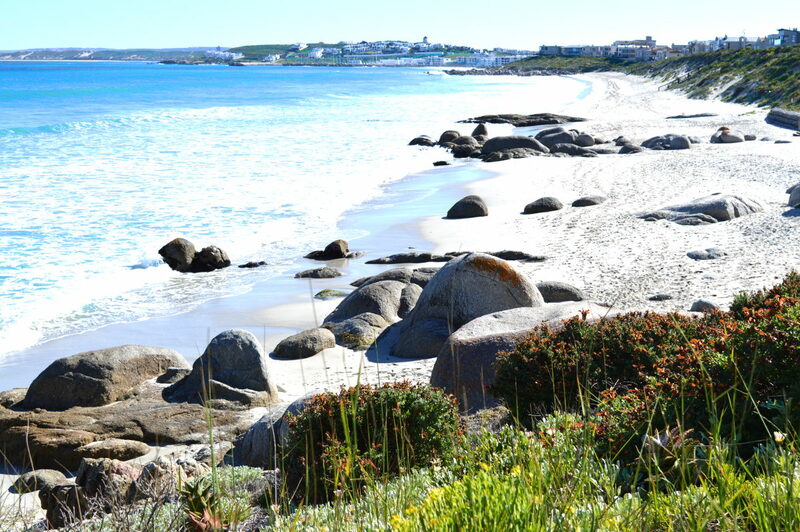 Which are the best beaches in Langebaan? We've them all... and lots more about this little gem of a town on the doorstep of one of the world's loveliest ocean lagoons (more about the lagoon here). 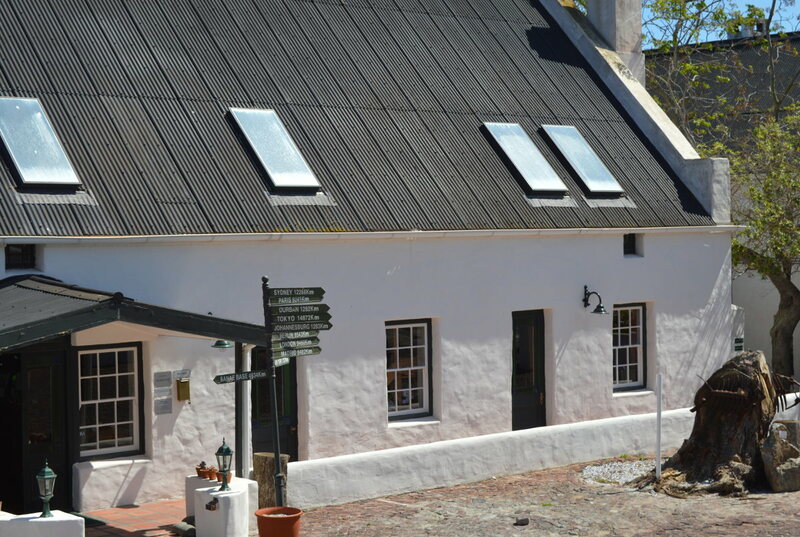 Langebaan is a sleepy little place, situated on the edge of the globally important West Coast National Park. The park itself is a gorgeous destination with stunning beaches and a wild beauty. 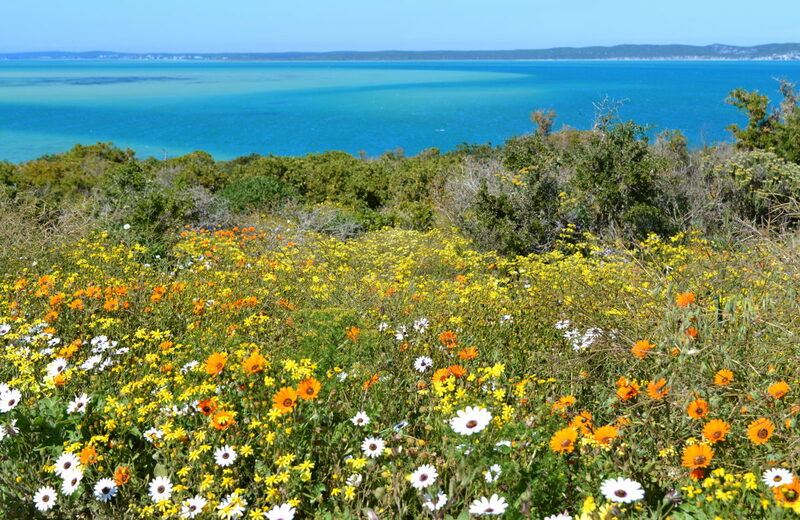 Never crowded, this beach is backed by high dunes which are covered with flowers in spring. It can be a little hard to find the way to the beach as there is only one fairly well hidden entrance. The map at the bottom of the page shows the parking area for the beach and from the parking follow the wooden walkway to the beach. The walk takes about five minutes. This beach isn't in the lagoon itself but it is still in a sheltered bay so, although there are waves, they are generally small and fine for children over the age of six - as long as you keep an eye on them. The walkway to Paradise Beach with Club Mykonos Resort on the hill in the distance. Main Beach is also a very popular beach with kitesurfers who have an area dedicated to them. In fact potential kitesurfers come here from all over the world to learn how to kitesurf. 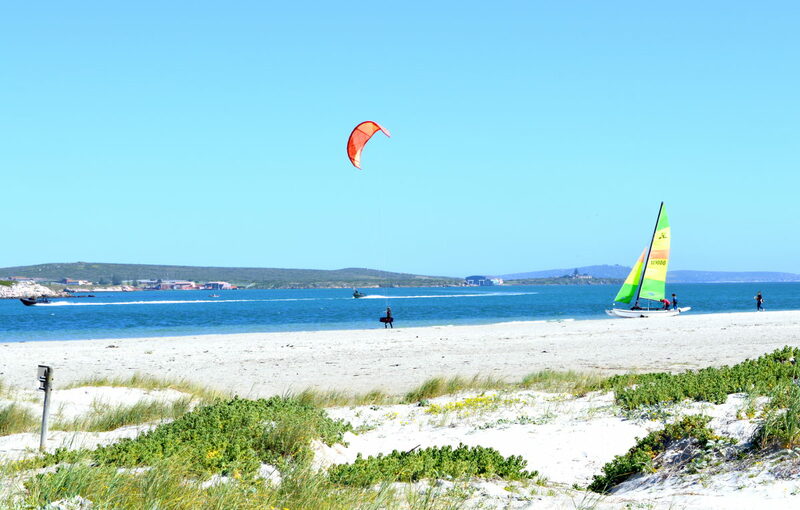 Langebaan is one of the best places on earth to learn as there is a good prevailing wind in summer, the beach is wide and the sea is not rough. If you'd like to learn have a look at the courses offered by KiteLab. During summer get to the beach early - in the afternoon the wind really gets up. Of course, if you are coming here to kitesurf the opposite applies. 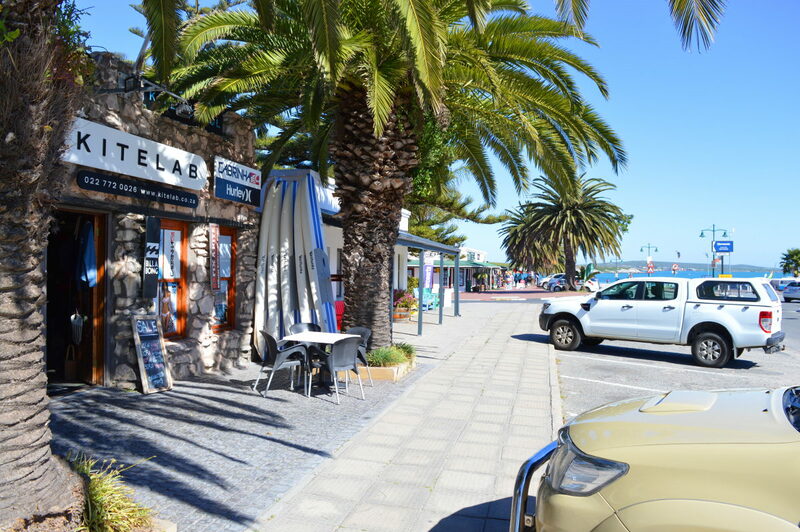 The road leading to the beach has lots of lovely little "beachy" stores, restaurants and coffee shops so should you need something to eat or a shopping break you don't have to go far. There's also a supermarket called Spar if you are self-catering. Try the pancake bar near the upper end of the road on the right hand-side as you walk away from the beach - they serve a huge range of absolutely delicious sweet and savoury pancakes. They've been here forever and stepping inside is like going back to the 50's. 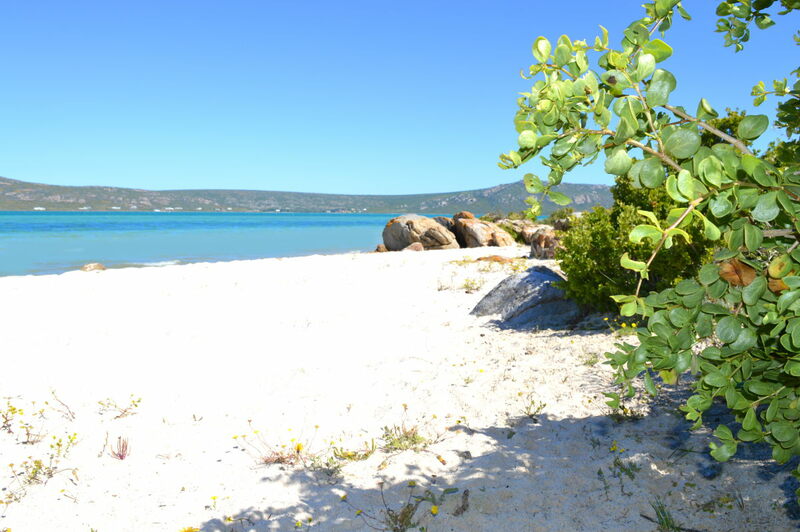 Right in the lagoon, and just before the National Park, is where you'll find Shark Bay. There's a parking area a little way along a sand road from the Farmhouse Hotel - I've shown it on the map at the bottom of this page. 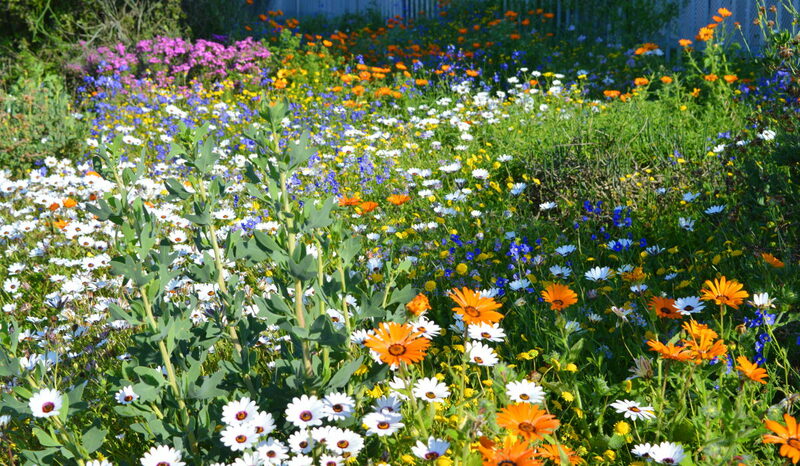 From the parking area you walk through flowers of every colour on a path that leads down to the beach. When the tide is out you can walk out a long long way out through the knee-deep water making it great for little children. In the waters you'll find lots of little shrimps and the flamingos that feed on them. There are literally dozens of restaurants in the town - probably more restaurants than shops actually. 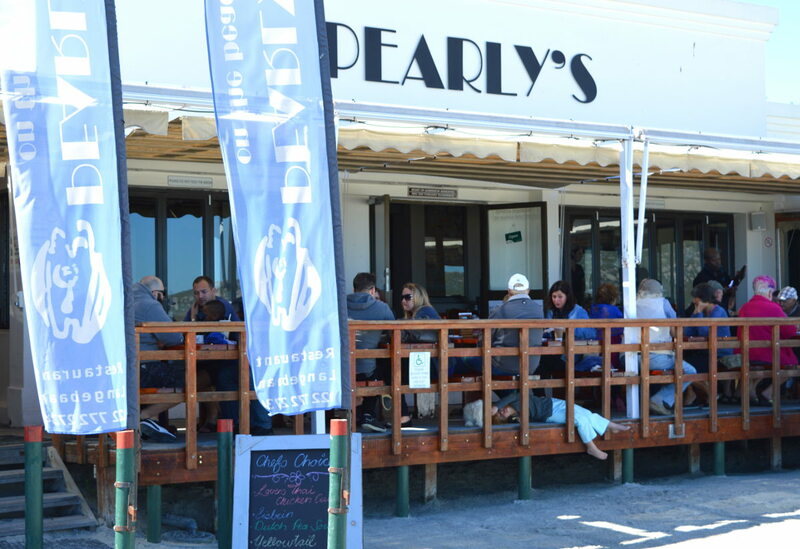 Many of them are lousy so if you don't want to experience terrible service and food to match rather head to Pearly's which is right on the beach. I've yet to have a bad experience at Pearly's. Into gambling? There's a resort where you can make your fortune... or more likely lose it. The resort is Mykonos and they've got gambling and lots more too including beaches, four swimming pools and seven restaurants. It's supposed to look like Mykonos in Greece and actually it does - partly because the olive trees, huge skies and blue seas are almost exactly like in Greece and the architecture of the resort is similar too. You can even visit their Greek restaurant and listen to bouzouki music while eating souvlaki to complete the experience. 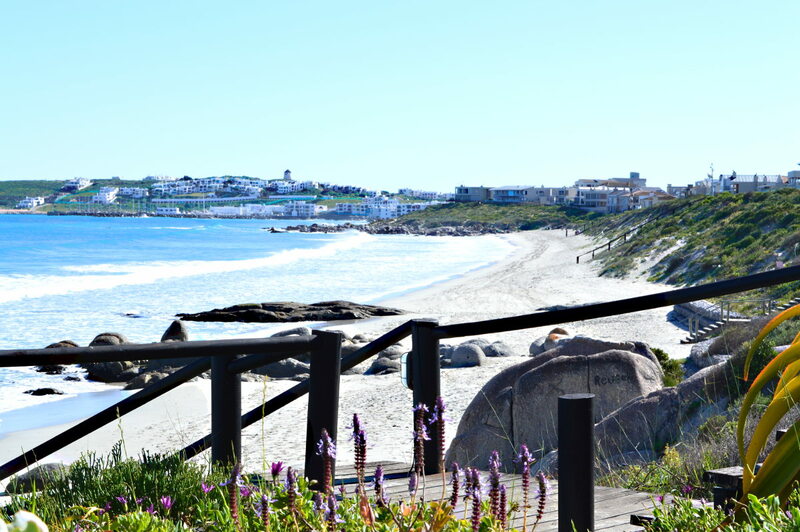 If you can only take so much beach before you need to get out onto the fairways then you're in luck - Langebaan has a world-class 18 hole Gary Player Designs Black Knight golf course. There's a wonderful 19th hole clubhouse too with a good restaurant and excellent bar with a view that'll make you fall off your chair before you've even had the chance to drink too much. 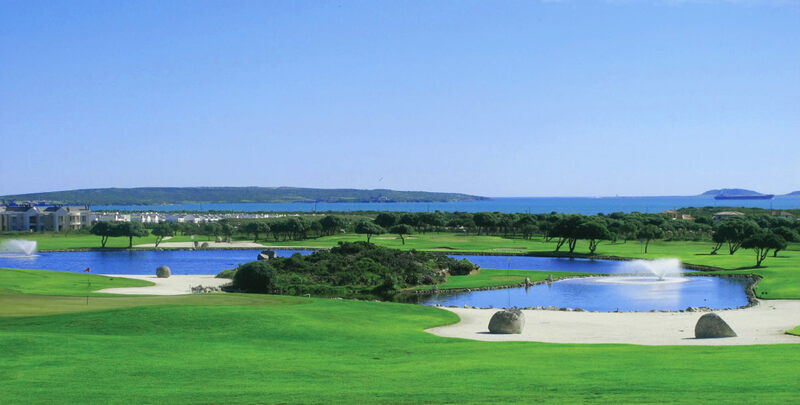 If you want to make your holiday more about golf than beach then you can stay on the course - details on the course and lodges here. 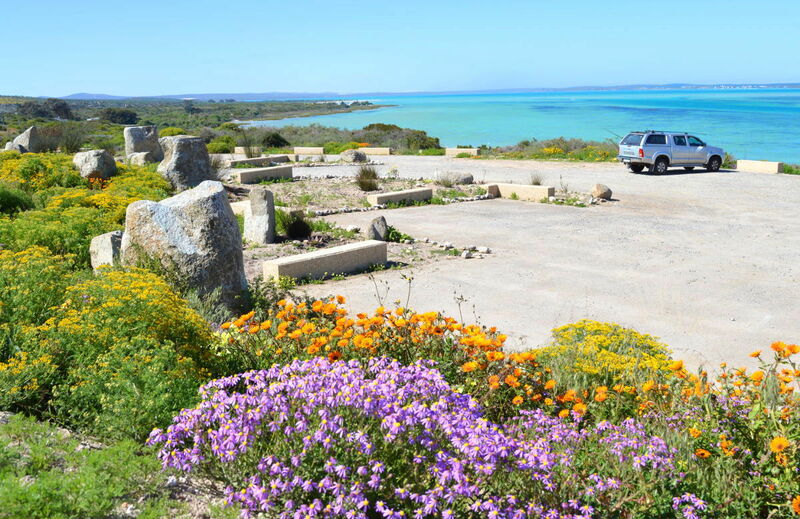 Just outside Langebaan is the Fossil Park - a fossil site of world importance where experts from around the world are making some incredible finds. You can find out more here. Reserve online, pay at the hotel! FTC DISCLOSURE: This site includes some affiliate links. 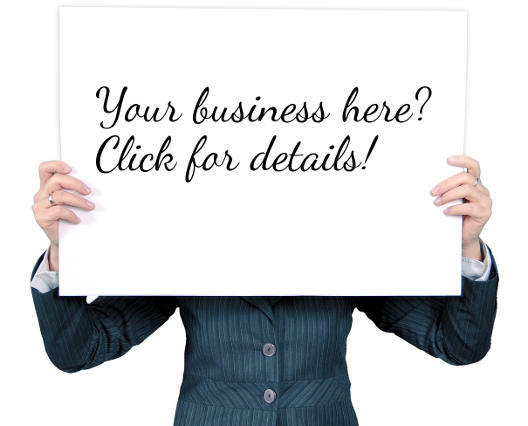 Should you click an affiliate link and make a purchase or booking I make a small commission at no extra cost to you. Please helps us to keep bringing you the most beautiful coasts on earth by booking through the links on our website. 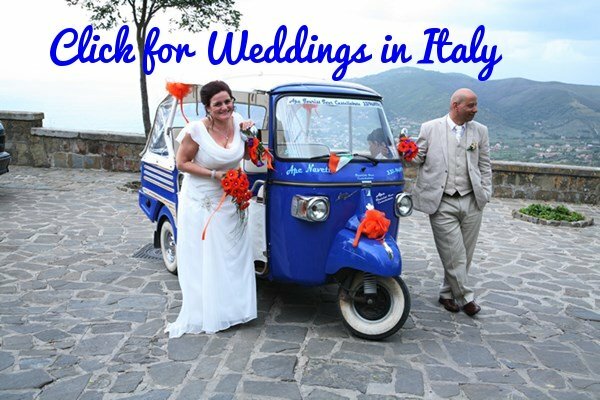 When it comes to a great base to explore the Amalfi Coast Salerno is sadly overlooked for more glamorous choices, That's a real pity - in many ways Salerno is the best choice of all. Starting in Donegal County and finishing down south in County Cork - the real heart and soul of Ireland's west coast awaits - click to discover it. Want to know everything there is to know about Monterosso on the Cinque Terre? Then the Monterosso al Mare Beach and Town Guide is essential reading. 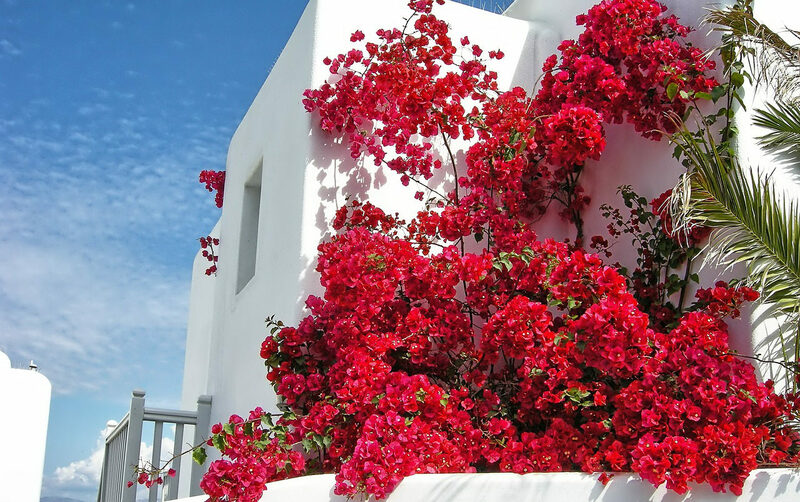 Strolling through the magical town of Amorgos that first time, many summers ago, I immediately fell in love with this Grecian paradise forever and know you will too! Hollywood stars have the made the movie location beaches of Hawaii famous. Now you too can feel like a star - in your own personal movie set in paradise.